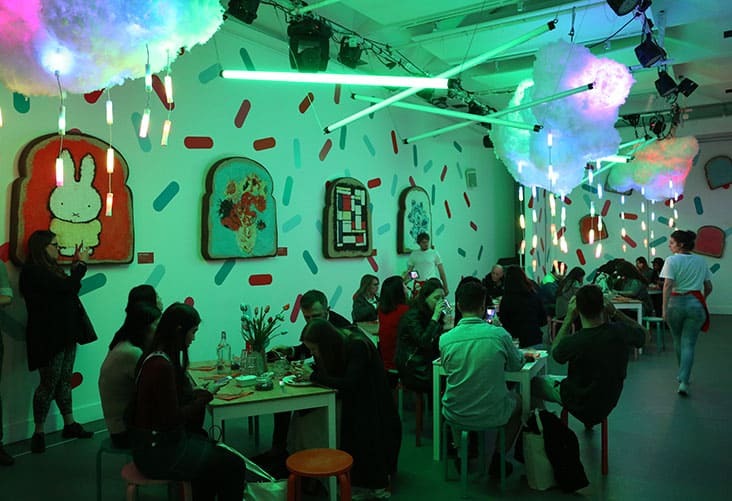 EasyJet airlines and Holland Tourist Board celebrating the dutch love of sprinkles (Haselslag) launched a pop-up cafe in London. 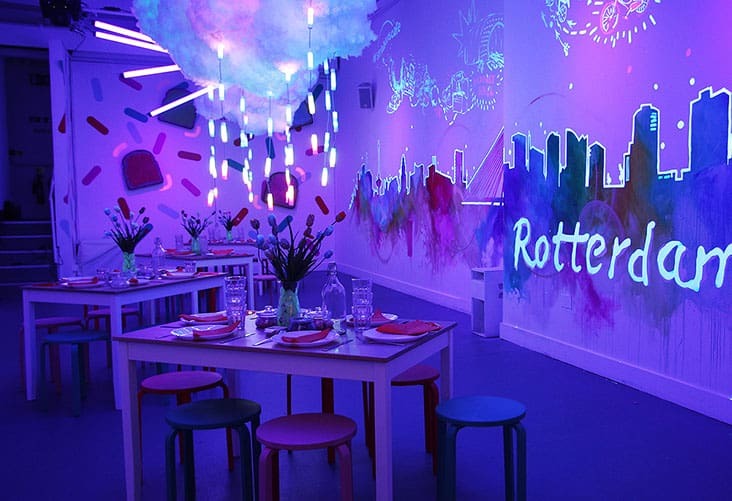 Guests were able to experience and explore dutch inspired sprinkle art, together with making their own edible creations. 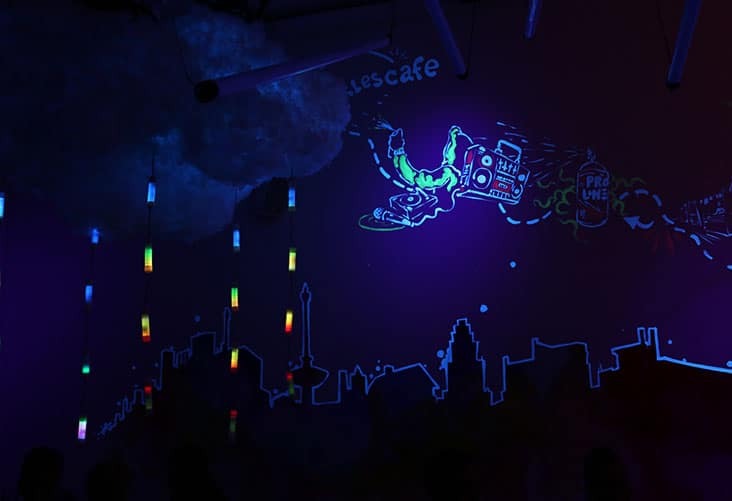 Our friends at bearded kitchen added an extra element of surprise to the cafe which was a UV light show with raining clouds and sprinkles, amongst other light interactive displays to celebrate ‘Eindenhoven’, Rotterdam’s Light festival. Working with the client, we proposed the best ways to highlight key features of each area. 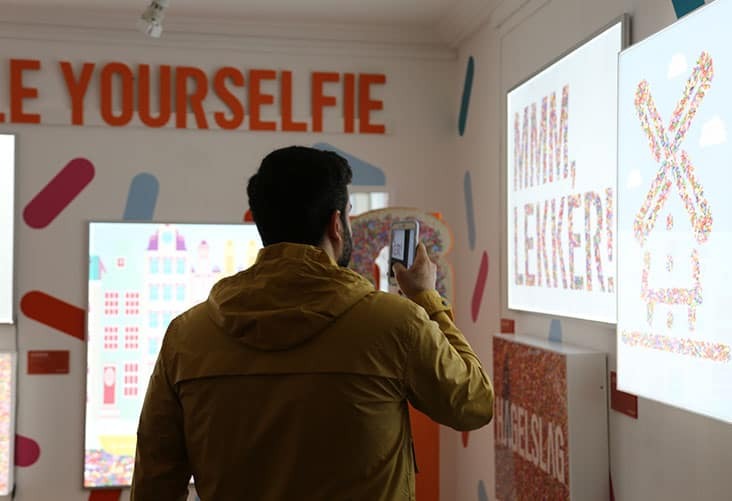 Technicians were available throughout the event to keep up with the guest and featured art work which could be uploaded straight to the selfie cloud. 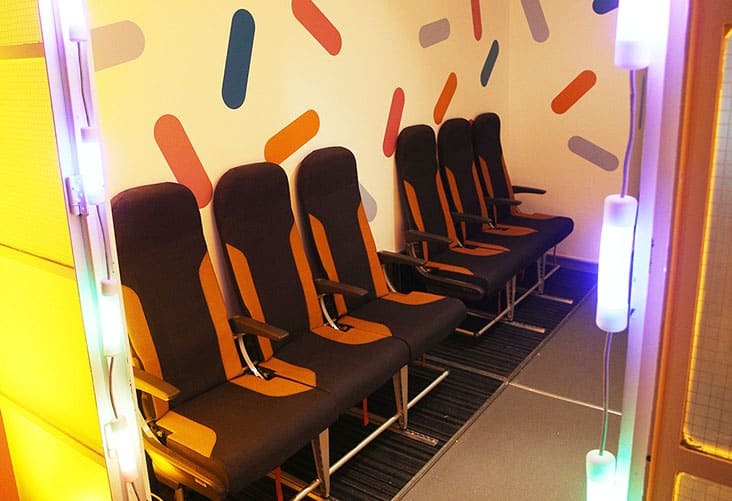 Click through here to see more of our Audio, Lighting, LED, Projector and Video hire options!